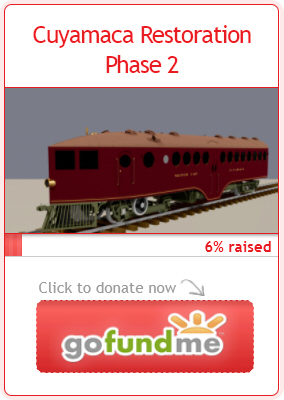 Galveston, Harrisburg and San Antonio Railway | The McKeen Motor Car Website Galveston, Harrisburg and San Antonio Railway | The Compendium of Knowledge on the McKeen Motor Car Company, and their experiments. The Galveston, Harrisburg and San Antonio Railway bought to 70′ foot, 39 ton, 20 seat, motor cars, that were numbered #1003 and #1004. Both cars were later sold to the Texas & New Orleans Railroad and were scraped, #1003 in October of 1929, and #1004 in April of 1931. The odd part of these cars, is that they supposedly only seat 20 people, which would only be the back bench and two or three bench seats. Each bench seat was claimed to hold three people, “comfortably” in the words of Mr.McKeen himself. 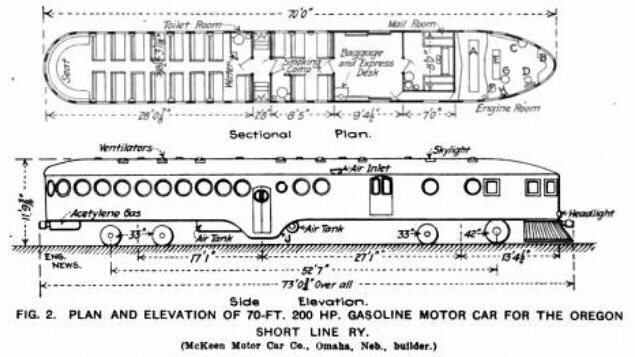 Here is a blueprint showing the layout for this motor car, but was drawn for a different motor car that ran in Oregon.